A child on the Navajo Nation is bused or neglected every 15 seconds. That’s according to data recently released by the Navajo Nation Division of Social Services. The data is alarming, but vital that the Navajo Nation know it, Crotty said. 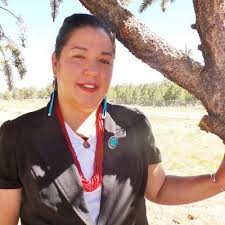 There are 11 social services offices on the Navajo Nation, with each receiving reports and phone calls daily from parents, teachers, police, social workers, medical personnel, witnesses, etc., about neglected or abused children, according to Gladys Ambrose, department manager with the Navajo Nation Department of Family Services. If those reports were combined it would equal one report every 15 seconds, she explained. “We take every call seriously,” Ambrose said. But with a shortage of staff the department has to prioritize calls, she added. The Nation currently has nearly 50 vacancies for social workers. Child abuse or neglect has long been an issue on the Navajo Nation, Ambrose said.